An introductory course focusing on the fundamentals of Paddle Boarding, with an aim for you to become an independent water user. Fluid, snacks & plenty of energy. 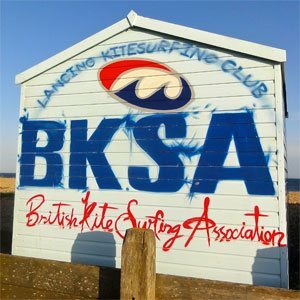 Once you have mastered the basics, why not hire a board and enjoy some time on the water within our local area, in the knowledge that our team is looking after you. Gerry has been practising Yoga for over 10 years and qualified as a teacher seven years ago. She first discovered Stand Up Paddleboard (SUP) Yoga about 5 years ago through just playing around on a SUP while on holiday. It seemed such a natural progression to take her land based practice and transfer it (with a few modifications!) to a SUP and the results are a refreshing and light hearted Yoga class. Gerry’s (land based) Yoga background is Ashtanga and Vinyasa Flow and she has found that the SUP really lends itself to an Aqua Vinyasa class where we work with the breath, flow between poses and build sequences. Classes are open to all levels and no experience is necessary, although a little knowledge of either Paddle boarding or Yoga will be helpful. We work through variations of classical yoga poses adapted for the SUP, because the poses are being performed on a moving surface, you will be engaging muscles that you wouldn’t normally, and because you need to distribute your weight evenly on the board the poses have to be well aligned. The result is a challenging but tranquil class which takes your Yoga practice to another level. I offer different options to suit all levels, although getting wet is a possibility its all part of the fun! SUP Yoga Classes are Tuesdays at 6.30pm at Hove Lagoon www.hovelagoon.co.uk – booking is essential as we have limited numbers. The lagoon is the perfect place for SUP Yoga as the sheltered location and flat water means we don’t have to worry about tides or waves!